The struggle against political, social and economic injustice is an ancient battle, often fought by the brave and courageous minority, against the powerful elite. Reflecting upon history, we see that movements against injustice are universal, transcending eras and geographical regions. Justice is amongst the sublime qualities that every human being aspires toward, seeking it in every dimension of life. No one would dare claim that they seek injustice or aspire to oppress others. Like love, or beauty, or mercy, it attracts humanity irrespective of religion or creed or culture—justice is a quality which is innate, embedded in our very ontological existence. And due to our natural love for justice, we often celebrate those who strive against any form of oppression. Here, in the United States, when the term justice is mentioned, we picture the faces of Martin Luther King Jr. or Susan B. Anthony or Malcolm X or Elizabeth Cady Stanton or Rosa Parks—all champions in standing for what they believed in, and achieving the unthinkable in their own historical constructs. In light of social developments and the political situation today, there are always individuals who rise to the occasion in terms of activism. With the oppression and struggle we are seeing on the streets of this country, with race and religion making the headlines, activists are using tools like social media and the internet to bring light to the obstacles being faced by the masses. Working for community and standing against the rampant social injustice we see today is incredibly challenging, and doesn’t always reach the potential of those who have been immortalized in history. But nonetheless, the effort needs to be made, because standing on the side of truth and with a purpose is a lot more desirable than standing with a silent majority when we are witness to the images we are seeing. In the year 680, the grandson of Prophet Muhammad, a man by the name of Hussain had a similar decision to make—whether to stand for justice and risk his own life, or to keep silent in the midst of the horror the community was witnessing. The ruling class, theUmayyad Dynasty was responsible for creating a police state, spreading their hate filled ideology by the sword and opposing any thread of morality and virtue. Hussain, recognizing what was at stake, decided to stand against the tyrannical government, along with a small band of his supporters and was quickly annihilated and dominated within a few hours, in a small city near the Euphrates River, known as Karbala. Upon an examination of human history, we see that this event was probably like any other battle that has taken place—a blip on the radar, and nothing significant. Yet today, in spite of the massacre and the decapitated bodies on that battlefield more than a thousand years ago, one billion Muslims are familiar with the story of Hussain, retelling it as the epic battle between truth and falsehood, justice and oppression. For those looking for lessons in social activism, we can derive a number of lessons from the monumental martyrdom of Hussain. Firstly, we need to be a people who don’t look at the odds of victory or fame or success, but work for the sake of justice, for justice’s sake. Hussain and his family members were less than a 100 in number, standing against upwards of 30,000, in what was seemingly a resemblance of a David vs. Goliath sort of encounter. Of course Hussain and his companions were all killed, save a few, but they did not back down despite the situation. Today, we have a similar responsibility to do the right thing, regardless of what we are standing against. In the social construct we are living in, we all see success by means of tangible gains, but we need to go beyond that, and work for that innate desire to no longer see oppression. Often times, we isolate ourselves as we rise against the wave of the majority, but isolation with a purpose is something endearing, especially when comparing it to the complacent majority. A second important lesson we derive from the tragic episode of Karbala is the fact that it does not matter where you are or what your background is—everyone has the potential to make a difference. 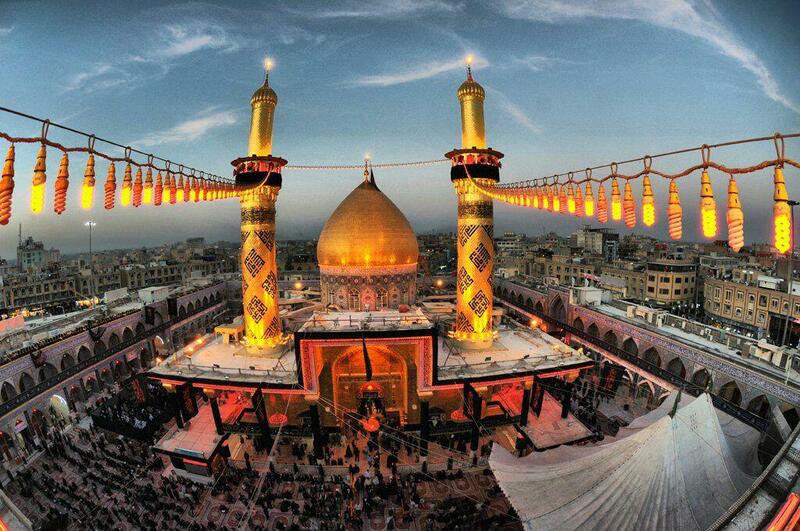 Alongside Hussain there were men and women, children and the elderly, the free man and the slave. Every individual who was with Hussain had a prominent role, and their stances on the day of Ashura have been recorded in historical reports. For instance, there were men elder than 80 years of age, and children under 10, all courageously standing against the oppressing party. While men fought in the battlefield, the women would represent the voice of Hussain and his army, as they would travel to different cities as political prisoners, protesting the ruling authority and notifying the masses of what had transpired. The sister of Hussain, and the granddaughter of Prophet Muhammad, a lady by the name of Zaynab, was seen as the leader of the resistance, and an outspoken symbol against the regime. Today, activism should not be limited to the elitists, but we all have a natural responsibility to be representations for the values which are important to all of us. And thirdly, but most importantly, when engaging in activism, it has to be done without our own egos and agendas. Too often, there is competition between people, often struggling for credit. With the rise of social networking, we often want to be the first to break the news or post the photo on Twitter or Facebook, but we have to take ourselves out of the equation and take inspiration from Hussain. He worked selflessly for a cause, and did not seek any recompense in return, as he was willing to sacrifice his life—yet the natural forces, or divine support—(if you believe in that thing), allowed for his name to be revered by more than a billion people.